In general terms, the Romans coined the name 'Gaul' to describe the Celtic tribes of what is now central, northern and eastern France. The Gauls were divided from the Belgae to the north by the Marne and the Seine, and from the Aquitani to the south by the River Garonne. By the middle of the first century BC, the Venelli were located in Gaul in what is now the Cherbourg peninsula of north-western Normandy. They were neighboured to the east by the Lexovii, to the south by the Boiocasses, to the south-west across the Gulf of St-Malo (which contains the islands of Guernsey and Jersey) by the Redones, and across the English Channel by the Durotriges. Julius Caesar referred to the tribe as the Unelli. The more commonly-used Venelli tribal name appears to be constructed of 'ven' (which was pronounced 'wen') plus a diminutive suffix, '-ellus', which was altered to '-elli' to make a plural. It seems highly likely that the 'ven' is derived from the proto-Celtic 'vindo', meaning 'white', and not from 'ven', meaning 'love'. So the tribal name would be 'the smaller group of the "Whites"', and certainly not the 'little lovers'! Although there seems to be little concrete similarity in the construction of their names, the Venelli could have been related to the Veneti, the major seafaring nation on the Atlantic coast. 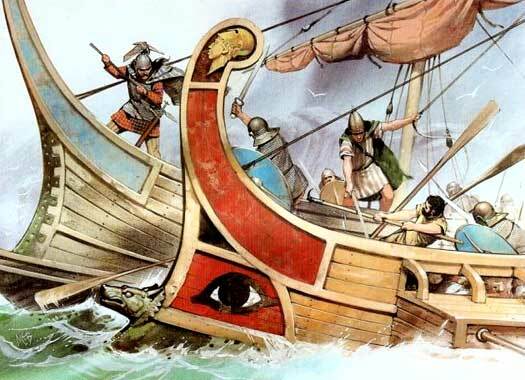 Veneti ships were accustomed to cross the Channel to Britain in large numbers and they dominated the other peoples who were engaged in sea trade in the region. 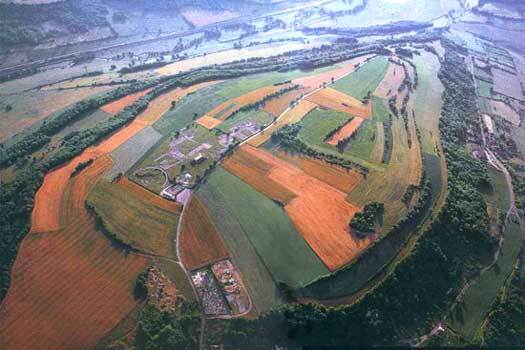 The tribe occupied territory around Cotentin, with an oppidum at Cosedia (modern Coutances). Having seen the Belgae crushed by the might of Julius Caesar's legions in 57 BC, over the following winter the Armorican peoples presented a united front in the face of Roman foraging expeditions and the resultant revolt. Quintus Sabinus was sent with three legions to isolate the Venelli, Cariosvelites, and Lexovii, all of whom were led by a single chieftain named Viridovix. The three tribes were defeated by a mixture of Roman trickery and brutal exploitation of an advantage, and the revolt was crushed. The wider rebellion was also defeated, but only after some hard fighting and much Gaulish resistance. The Vanelli are also name-checked both by Pliny the Elder in his Natural History and by Ptolemy in his Geography. A client tribe of the Venelli was the Abrincatui. They were a Late Hallstatt tribe that left their homeland to the south-east of Cologne on the River Abrinca (Vinxtbach) in the sixth or fifth century BC. They settled in Armorica, on the River See around modern Avranches, but were dominated by the Venelli until proper Roman occupation of the area began in 49 BC. The tribe's name breaks down into two parts - 'abro' and 'catu'. The last part, 'catu', is the familiar word used to mean 'fight/battle/war' that was also used in the Catuvellauni name (and others). The first part, 'abro', means 'very'. This is likely to have been the 'very warlike' tribe, or the 'very battlers' (ie. 'super warriors'), or something similar. Four relief forces amounting to a considerable number of men and horses are assembled in the territory of the Aeduii by the council of the Gaulish nobility. Demanded from the tribes of Gaul are six thousand men combined from the tribes of Armorica (including the Ambibari, Caleti, Cariosvelites, Lemovices, Osismii, Redones, Venelli, and Veneti). Together they attempt to relieve Vercingetorix at the siege of Alesia, but the combined relief force is soundly repulsed by Julius Caesar. Seeing that all is lost, Vercingetorix surrenders to Caesar. The garrison is taken prisoner, as are the survivors from the relief army. They are either sold into slavery or given as booty to Caesar's legionaries, apart from the Aeduii and Arverni warriors who are released and pardoned in order to secure the allegiance of these important and powerful tribes.